TimberTec has established itself as a complete software provider for the wood industry, sawmills and timber trade. Since 1990 it has become the market leader in this segment on the German-speaking market. More than 200 customers in Central Europe rely on TICOM. 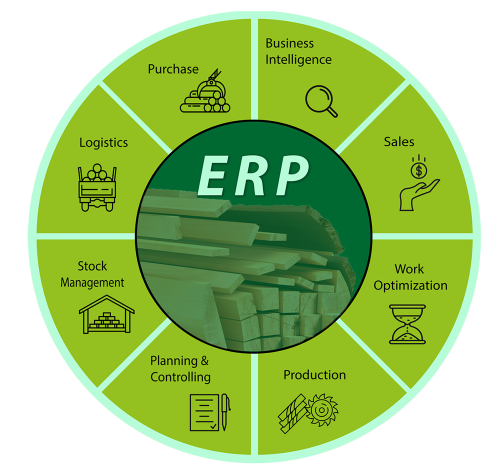 This is a modular ERP system which covers the entire process chain, from procurement to the final product. We at TimberTec know the processes of the branch very well because since two decades we’ve worked continuously to improve them in close dialogue with our customers.